Zach is the newest help desk technician to be brought aboard the ADKtechs team. Graduating with his Associate’s Degree in Information Technology just this year, Zach strives to continue to learn and move up the ladder at ADKtechs. With a wide range of experience in various industries, he’s finally found a field that fits him perfectly. When Zach isn’t handling calls or troubleshooting tickets, he can be found fixing up his house with his girlfriend, fishing, or playing video games with his friends. 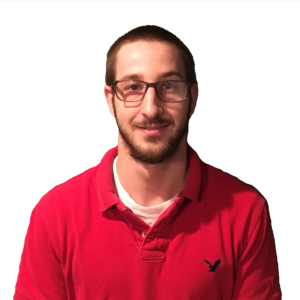 On his new position, Zach says, “Working at ADKtechs has been a truly eye opening experience. I work with some of the smartest people I know, aiming to deliver top quality customer service. We’re constantly receiving opportunities to learn new skills and our supervisors are always open to fresh ideas from staff”. We admire Zach’s enthusiasm and willingness to help out where ever we need him. We’re so excited to have him on board!